Nicely placed in Sector-27, Greater Noida, Godrej Golf Links is a powerhouse defining luxury living served under golf view villas. With an experience of 26 years, the developers of the project, Godrej properties have set a mark in the Noida city with the launch of this ravishing residential project. Godrej Golf Links is located quite near to Pari Chowk which is one among the famous point of Great Noida city. 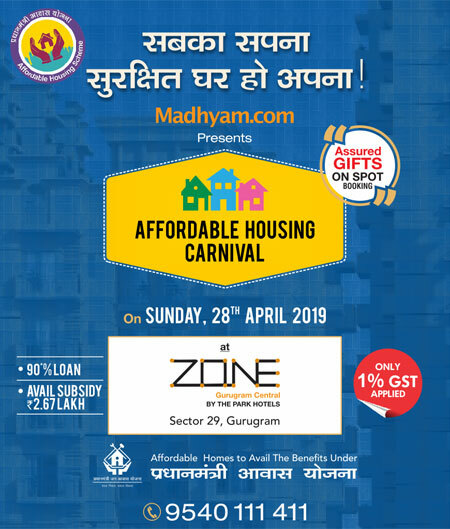 Within a reach of 2 km, the inhabitants of the project can enjoy extreme and best possible connectivity solutions to places like Delhi, Noida, Ghaziabad and other places of U.P. Furthermore; the site location will also be blessed by upcoming metro stations in the near future. The great planning and design is just the basic thing defined in Godrej Golf Links Greater Noida for the beginning of a better life. In here, you will find a perfect balance between the urban lifestyle and green living. The amenities held in this project are bound to extend happiness in the living style of the people. These amenities include sprawling 9 hole golf course in the heart of township, cafes, art galleries, convenience stores, sports arena to brighten your swimming, tennis cricket & basketball skills. This project truly claims a grand living for its inhabitants where you step in but never wish to step out again.